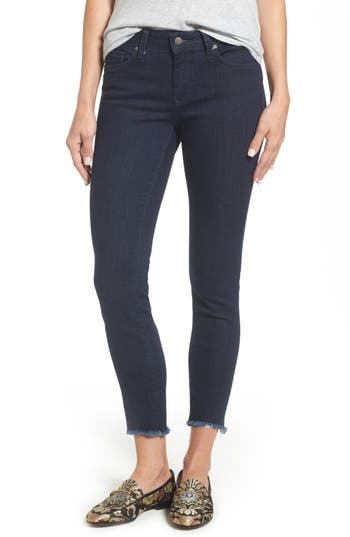 Skinny jeans rinsed in dark blue with fringed ankle hems are made with shape-retaining stretch to hug every curve. Style Name: Mavi Jeans Adriana Ankle Skinny Jeans (Rinse Tribeca). Style Number: 5409499. Available in stores.